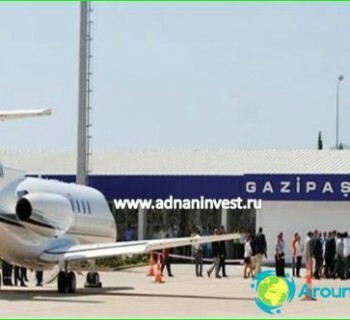 Holiday in Alanya tourists appreciate the cost -excursions lovers, married couples with children and youth companies. To their services - sandy beaches, quiet old streets, historical monuments, bustling night parties. Excursion: On the tour you will see the shipyard Tersane, Alanya Castle, a tower of Kyzyl-Kul, Suleymaniye Mosque, visit the Archaeological Museum, Maiden cave and grotto Dalmatash Phosphorus. Beach: Incekum entrance to the beach is free, but for the use of beach equipment will have to pay (the price depends on the prestige of the hotel, on the beach area where you relax). Holidaymakers on the beach it will be able to do snorkeling, windsurfing and diving, and in the evening - visit the adjacent bars to have fun on the dance floor. Another good place to relax - the beach of Cleopatra: he was awarded the Blue Flag, a well-equipped, including points of tourist equipment rental. In addition, it employs a team of qualified lifeguards. Active: will be able to enjoy themselves in nightclubs "Koloni Disco", "Auditorium Open Air Disco", "James Dean", go on a boat trip on the Manavgat River, rafting or diving, swim with dolphins or stingrays in pool Marine Park "Sealanya", ride a banana boat or jet ski. Event: a trip to Alanya - it is an opportunity to visit the various sports and music events. So, you can be a witness in a triathlon competition, take part in tournaments in tennis, swimming marathon competitions in beach football and volleyball, as well as to arrive at the International Jazz Festival (September). Vacationing in Alanya recommended in April-November(June to September - an excellent time for a beach holiday, spring and autumn - for walks and excursions). Despite the price increase in the summer months, still tours to Alanya will cost cheaper than the other Turkish resorts. 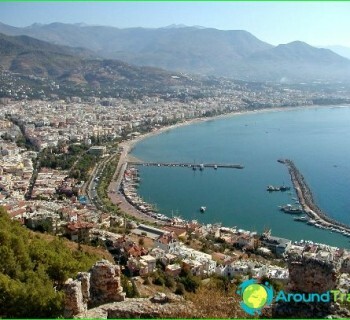 But in order to save up to 40% in Alanya can be come in spring or autumn. Before you go into a house or a mosque, it is advisable to take your shoes off, and if the owner of the house will offer you tea - do not give up (refusal may offend the locals). Walking around the city should be, taking with him a copy of the documents. With regard to wear, it should not be too open and bright. Buy gold jewelry and craft itemsprecious stones best jewelery in specialized stores, and not on the open market. In memory of the holiday in Alanya, you can bring oriental sweets, carpets, jewelry, hookah, leather products.